The beaches on a remote, uninhabited island in the middle of the Pacific Ocean have the highest amount of plastic debris in the world. Researchers from the University of Tasmania say Henderson Island, which is more than 5,000 kilometer from any major population center, is strewn with roughly 37.7 million pieces of plastic waste. 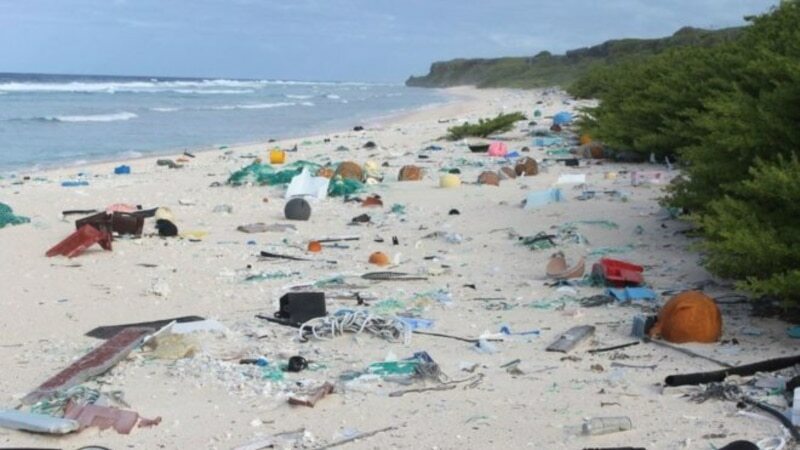 Put another way, the beaches on Henderson Island are covered with about 671 pieces of plastic litter per square meter, which researchers say is the highest density ever recorded.